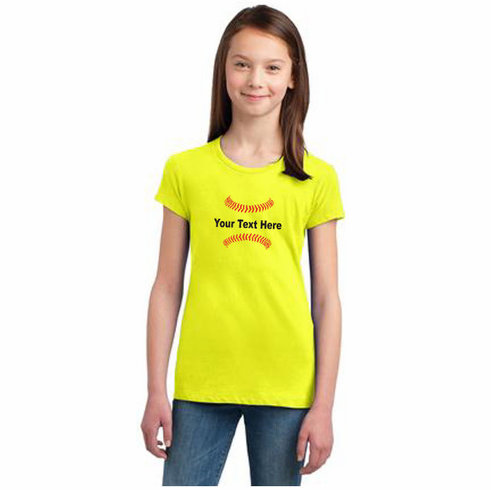 These custom softball girls and ladies t-shirts allow you to choose the Softball Nickname, Player Name, Team Name, or Softball Phrase you want screened on the chest. Up to 15 block characters and/or spaces can be personalized inside the softball stitches on the front. 4.3-ounce, 50/50 soft spun cotton/poly blend. Girls Sizes: XS-L. Ladies Sizes: S-4X.